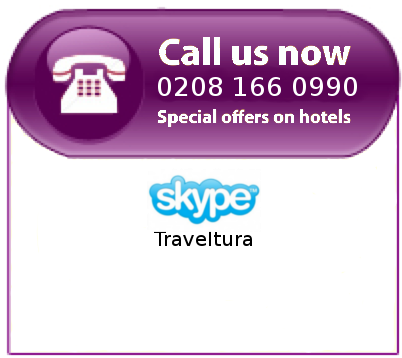 After direct pick-up from your hotel, we begin our tour in Bath, where we will see the Roman bath-houses and Pump Room. We will go onto Lacock for supper in a 13th century inn, before making our way to Stonehenge. As the sun sets, we will have private access to the stone circle, normally out of bounds to the public. On this tour, you see Stonehenge as it was meant to be seen! 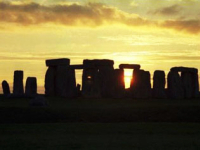 On selected days the tour operates in reverse, beginning with Stonehenge at sunrise before it opens to the public in the morning, followed by Lacock and ending in a magical torch-lit tour of the Roman Baths. Built nearly 5,000 years ago, Stonehenge is the most popular prehistoric monument in the world, and with our exclusive tour you will gain private access to the inner stone circle, a place normally out of bounds to the public. Experience Stonehenge at the most dramatic hour of the day, look out over the magnificent Salisbury Plains...see it all as it was meant to be seen! 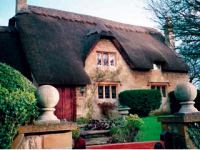 Lacock, dating back to the Saxon era, remains a picturesque English village. Visitors may recognize the setting from television and films - both Harry Potter and Pride and Prejudice, for example, were filmed in part here. Following our delightful walking tour we will enjoy supper (or breakfast on morning tours) in The George, a lovely vintage pub built in 1361. The beautiful Georgian city of Bath, now a World Heritage Site, is the perfect place for wide-eyed wandering. 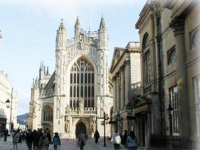 After our tour of the city you will be able to visit the lovely Bath Abbey, as well as go on an optional walking tour to the house of the great Charles Dickens! The local dairy farms will open their doors to us for a sampling of local cheeses. We will end our Bath tour with a visit to the fabulous Roman Baths. Streaming hot springs and whirling mists, this tour provides a magical end to our tour of Bath.